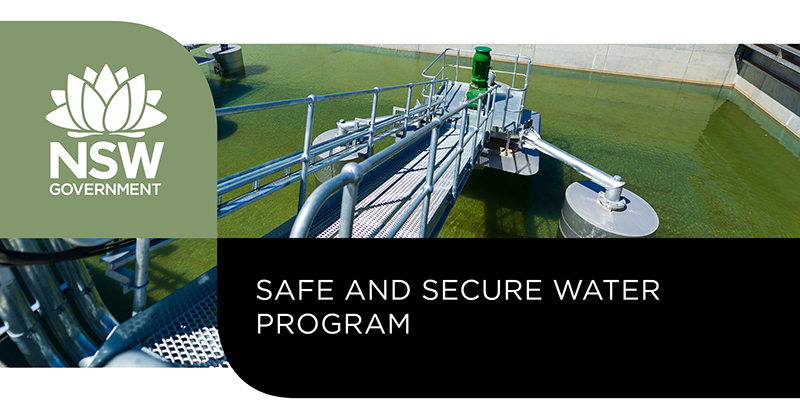 The Safe and Secure Water Program (SSWP) is a $1 billion regional infrastructure co-funding program established in 2017. The SSWP will co-fund eligible water and sewerage projects in regional NSW through improvements to public health, water security, environmental outcomes and/or social benefits. Learn about the revised Safe and Secure Water Program and read frequently asked questions. The program is transitioning, eligible applications remain open under the former guidelines up to 1 April 2019. An interactive map showing the location of approved projects and brief details about the project.